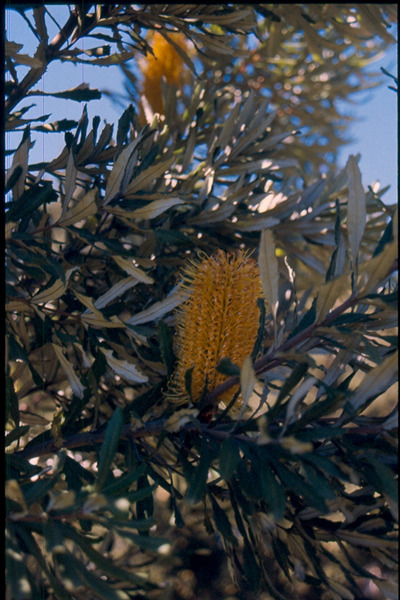 Handsome shrub or small tree with dark green leaves and white under-surface. Yellow flowers appear from summer to winter. Tolerant of frost and extended dry periods once established. Prefers well-drained light to heavy soils in full or partial sun. Fast growing. Used as a windbreak and for erosion control in Australia.